Air conditioners work a bit like your refrigerator, both take advantage of a physical law: when a liquid converts to gas, it absorbs heat. Your air conditioner forces chemical compounds to evaporate and condense over and over again inside their coils. The big fan moves warm air over these coils, using the inside of your ducts to draw air from the house. When this hot air flows over the cold, the refrigerant absorbs heat as it changes phases from a liquid to a gas. To complete the cycle, the refrigerant has to be converted back to a liquid. 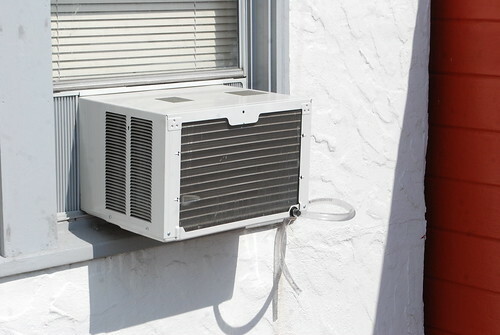 The air conditioner accomplishes this by compressing the refrigerant under high pressure, removing unwanted heat. A separate fan and set of coils vents this extra heat outdoors. Once the gas is compressed back into a liquid, the process starts over again. In simple terms, there are two things happening in your AC unit. Refrigerant is cooling the air headed inside, and the resulted gas is being compressed for conversion back to a liquid. If you are in the market for Las Vegas air conditioning repair, give us a call at 702.932.7284 for more information.